C&T Tire & Automotive has been proudly serving the Fort Collins, Colorado area for over 6 years. We are locally owned by Chris and Terri Lion, with over 30 years of automotive maintentance and repair experience. We are honest and straightforward, and will happily show and explain why certain repairs need to be done. We are fully licensed and equipped to offer you a complete range of automotive services, and because we have such a wide variety of options, we will definitely be able to meet your needs and deliver the satisfaction that you are looking for. We have both the technical expertise as well as the experience to know how to handle all jobs, big or small. C & T is registered and offers guarantees on applicable products and services. We have built our customer base one customer at a time, through hard work and determination, something that has allowed us to become the company we are today. We know how important long term relationships are and take great pride in providing you with top-level service and promise complete satisfaction when choosing us for all of your automotive and tire needs. 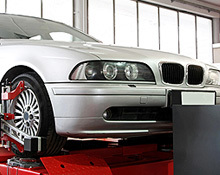 We are dedicated to providing you with the right solutions for all your automotive and tire requirements. Our skilled professionals are factory trained in the most up-to-date procedures and strive to offer our customers the best care for their car or small truck. We are always learning more and educating ourselves on the latest technologies and practices. This ensures that anyone who calls C&T Tire & Automotive will be 100% satisfied.